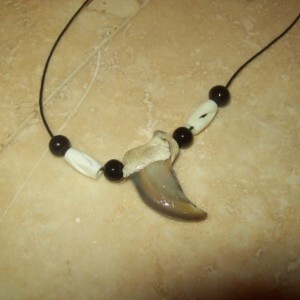 Please note the smallest claw is $29.99 you will need to pay to upgrade it to a larger claw. I can add it to the listing before you purchase OR send you an invoice afterwards. I prefer to do it before you buy simply message me so I can change it for you. NO INTERNATIONAL SHIPPING ᎣᏏᏲ ᎤᎵᎮᎵᏍᏗ ᏙᎯᏧ? Osiyo ulihelisdi dohitsu Hello welcome how are you? ARTIST NAME: Aiden ShortCloud ᏥᏍᏕᏥ ᎤᎶᎩᎸ ᏍᏆᎳᎢ TRIBAL AFFILIATION: Cherokee ᏣᎳᎩ ᎠᏂᏴᏫᏯ Comes with Certificate of Authenticity Portions of this sale are sent to my tribe and various communities I am involved with. I also donated items to various prisons to help fund their Native American programs and help those who can not help themselves. Inedible meat is donated to zoos and local raptor rehab facilities. I also carry real wolf, mountain lion and bear items. You are buying directly from a Native American artist.ᏩᏙ/ ᏍᎩ Wado/Sgi I am also a recognized member of the Indian Arts and Craft Association Please select how you want your claw to lay otherwise I will cross drill it Traditional drilled : when strung it will point towards your chest Cross drilled: Lays flat against the chest (like most my necklaces) This is for a custom necklace made and blessed JUST FOR YOU :) Necklace will come on a 19" long cord with clasp and up to 6 beads for this price, all glass and bone I will need you to tell me what colors you would like upon checkout: White purple blue black red green brown Yellow Orange Bear stands for introspection and protector there is nothing more ferocious than a mother This claw has been coated in a protective finish to make for a longer lasting claw. Do NOT use fingernail polish on authentic claws. All my claws come clean polished and sealed in a protective professional finish. Finger nail polish looks nice at first but will peel off making your claws look like they too are pealing. I seal these claws to help them last a lifetime otherwise a claw can break or come off of the knuckle bone. My claws will not do that to you. THIS BEAR WAS NOT HUNTED FOR PLEASURE. My people have harvested bears for thousands of years for spiritual use and food. There are special prayers made to ask the bear nation forgiveness before taking the life of one of the bear people. Bear meat is high in fat and is quite tasty it is divided amongst the people for meals. To my people bear fat has healing abilities, the fat is rendered secret herbs are added and it is used as a healing treatment and given to many elders. 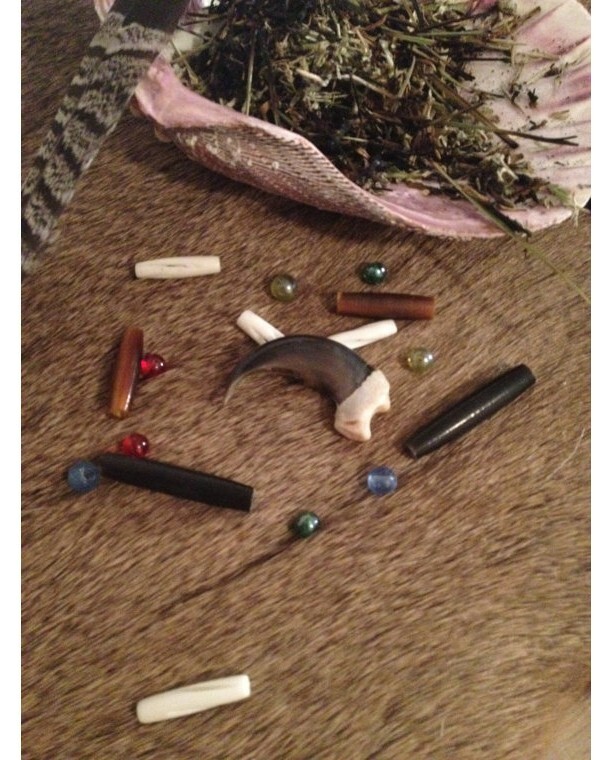 Bear skulls are often used for prayer sticks or alters, bear robes for healing ceremonies to help bring the bear back to the ceremony, we wear bear claws to carry the healing medicine and strength of the bear with us to honor him. No INTERNATIONAL SHIPPING this is a real animal product and can not be exported without high fees and permits I do not ship internationally. 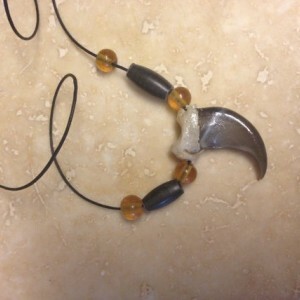 This item has been coated in a protective finish to make for a longer lasting claw.